So yay! We’ve done that. But now let’s get to the good stuff, i.e. SECRETS! You have to change how you view time when you go all in as a coach. 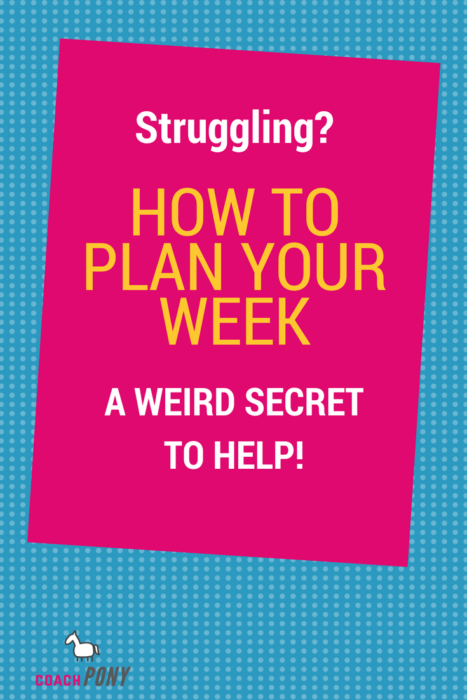 You aren’t working to a regular 40 hour work-week anymore, and the tasks you are now required to do – from being a CEO to being your own social media manager – are hugely different from the norm, widely varied in complexity, and often new. Frankly, certain tasks age you in dog years. Or, put another way, certain tasks take WAY more out of of you than others. 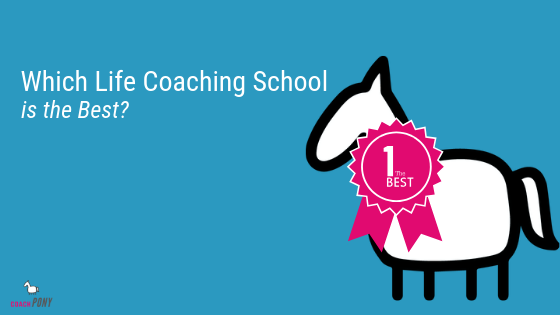 Let me give you an example: Let’s talk coaching itself. 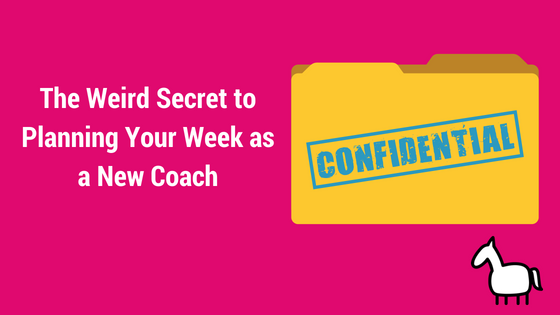 So, when I first started out all those years ago and finally got a full client load, I used to schedule five, or even six, clients per day on my coaching days (Tues – Thurs). Very quickly I realized that the level of focus and attention it required for me to coach meant I couldn’t do anything else. It was a big mental lift to coach each client and stay focused and 100% on my game. So I gave myself permission to do nothing but coach, and prep for my clients, on the set aside coaching days. Then I realized that I couldn’t actually coach 6 clients, for all the reasons I listed above, so I started scheduling no more than 4 per day (ideally 3). I know! I obviously had to raise my rates :). But seriously – for me personally, I had a very limited amount of reserve for how many clients I could handle and still be the best possible coach I could be, so I had to completely adjust my schedule and my expectations of a regular work day. Mostly, I needed to begin to plan my days differently, based on new rules, and not the old corporate ones. I felt “lesser” for a bit, thinking I should be able to coach for 8 hours, since I used to work for 9 or 10 hours as a consultant, right? I also felt like if I wasn’t working, then I wasn’t working. It made me feel like I was doing something wrong. I had to grow comfortable with the idea that how I managed time for tasks was now entirely different. And to understand that resting in between clients, doing client prep, and keeping my mind relaxed and not stressed was key to performing well and generating great results. So my view of “coaching time” became totally different. For you, coaching might be that task. You can coach 8 people a day and be ready for 8 more that night. But there will be certain business activities that crush you in terms of mental effort or energy, and it’s important that you identify them and start to better allocate your time to keep your best business resource (YOU) in great shape. For me, I can write and do online coaching in my BARB student group almost endlessly. Those tasks seem to require less mental energy than some of my other activities. Other things that make time move differently for me? Anything that has to do with IT or Tech (thank goodness for my team!). You are now in a new time continuum that is different from your old reality. You may, like I did this week, be upgrading some training which is a seriously heavy and big mental lift. So, your working hours might only be from 10-3, because that’s all you have in you for this task, and then you are mostly kicked for the day. The next day, you may be working from 10 am to 10 pm on business activities that don’t use as much mental effort. I want you to get used to the idea that it’s okay to work weird hours, and to figure out what type of activities require the most mental energy so you can keep your business flowing smoothly. There’s no judgement here, so don’t feel bad or lesser if certain business activities really tax you – just plan for it! That way you’ll keep your business running smoothly. 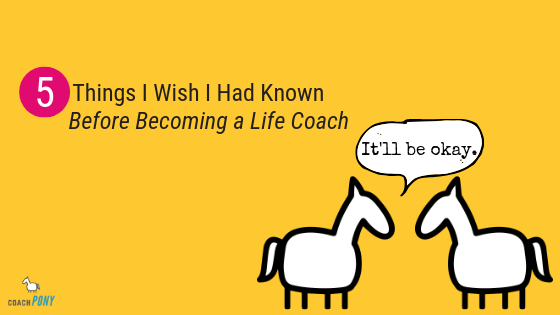 (If you are curious how I used to spend my time as a new coach back when my business was based on private coaching, here’s a helpful blog breaking down exactly what I did and why). As you go through your week, notice which business tasks, even if fun, seem to take a tremendous amount of energy. Next up, notice when your energy to do them starts to flag, so you can identify exactly how much you have in the tank for each of these tasks. Got the time in mind for the biggest tasks? You should have a list like “Coaching – can do three clients before I start to flag, including prep, coaching, etc.” Or “Writing blogs, can do for 2 hours.” Got that list? Okay! Update your calendar accordingly! So for me, when I am recording new training lessons for my programs, instead of allowing 30 minutes or an hour (each training itself is usually 20 minutes in length), I allot a half day. It takes me at least 3-4 hours to get it right, and once I’m done, I usually can’t do any heavy lifting for the rest of the day. It’s just a task that has a higher energy pull. But knowing that allows me to plan effectively, and produce the best possible content that I can. And if you want to know what I am up to these days, here’s a look at what I did this week, just to keep it real :). Tuesday I spent all day upgrading some of the training for BARB. I’m addicted to making that program better, and I can’t seem to stop – the last 6 months have been a crazy scene of ideas which has been both awesome and also a tremendous amount of work. I spent time wearing a bathrobe, wandering around my house poking at things, and getting frustrated at my recording mistakes. I definitely had a glass of wine at cocktail hour and it was….a generous pour. Wednesday I re-recorded the ENTIRE effort I had done on Tuesday, as I had an insight on how I needed to reverse some of the newest training, created a new lesson, and got stressed by the news. I reduced my stress by aggressively petting the neighborhood cat who sleeps in our backyard during the day, and doing some coaching in the BARB student group, and finishing all of the program upgrades (!!!). I also watched the Handmaids Tale, because I figure more dystopia will help me handle the mess that is the world today. Thursday I took off. The world has been really stressing me out recently, and I’m not proud of being an American right now. But I am proud of being an entrepreneur, and you know what? I can take time off whenever I want (yay!). So I decided to avoid the news and get out of the house for a day, and I wandered off to look at things (okay, makeup) and stare lovingly at things (cake and chocolate), and read some fiction for fun, and rewatch old episodes of the The Good Wife. I also spent more time with the cat. Who, by the way, seems to enjoy aggressive head scratches. Maybe I am a cat person after all? And if you want to know if you truly can do this coaching business thing, no problem! Take our free quiz and find out (and get some free resources to help you) right away! Click here.